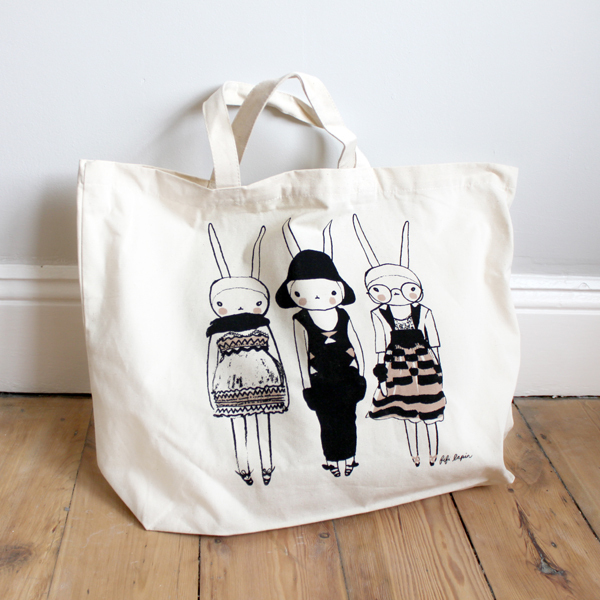 Now you can always shop stylishly with the Fifi Lapin canvas shopper bag. Flat measurements are 52cm (w) x 40cm (h) with a 13cm gusset. Double stitched for extra strength. Hard wearing 100% natural cotton 8oz canvas. $40 per bag. 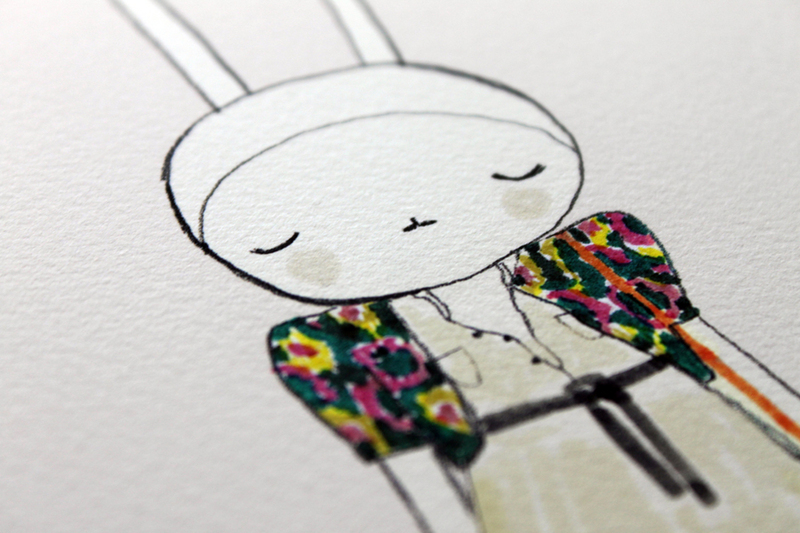 Postage is included in the price and we ship from the UK to all countries internationally. 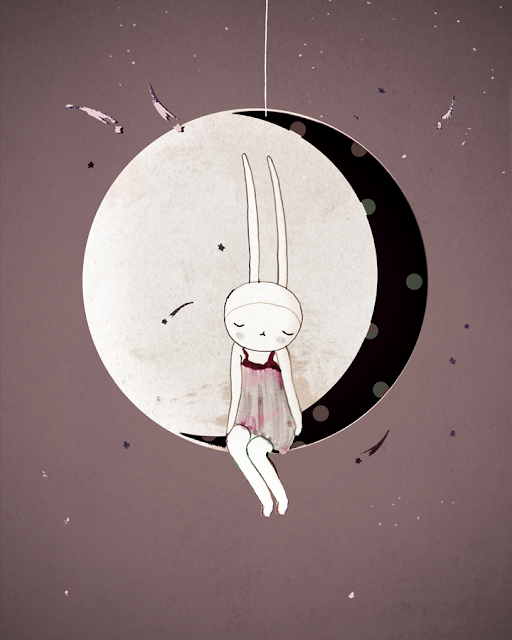 Please be patient if you are in a far away land! 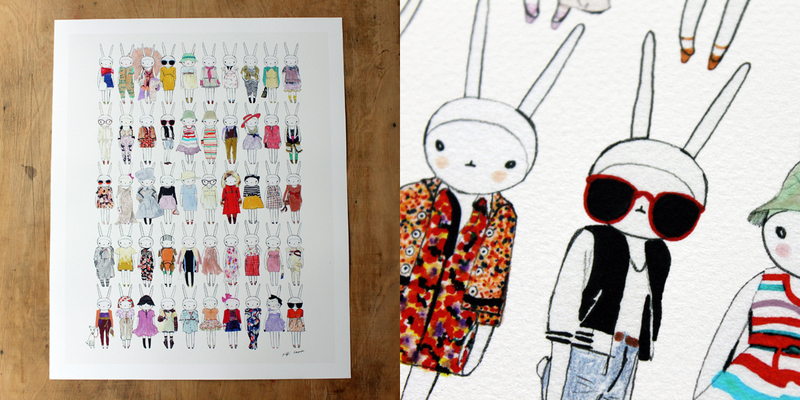 Another little print sale. Yay! 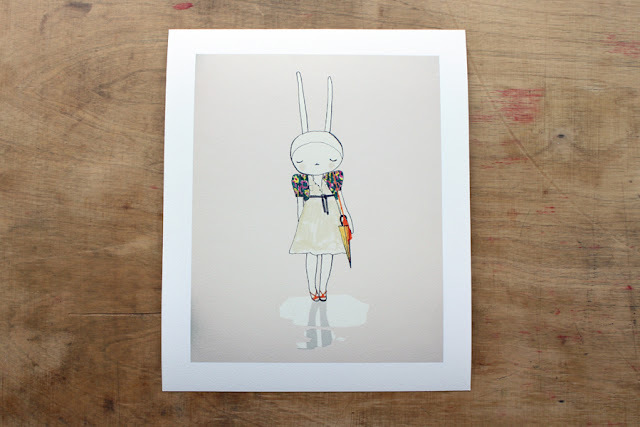 The print measures 8x10in not including the white border and is printed onto 100% cotton archival quality 225g/m paper, the paper is reminiscent of smooth watercolour paper giving the print a lovely soft texture and vibrant colour. $60 per print. 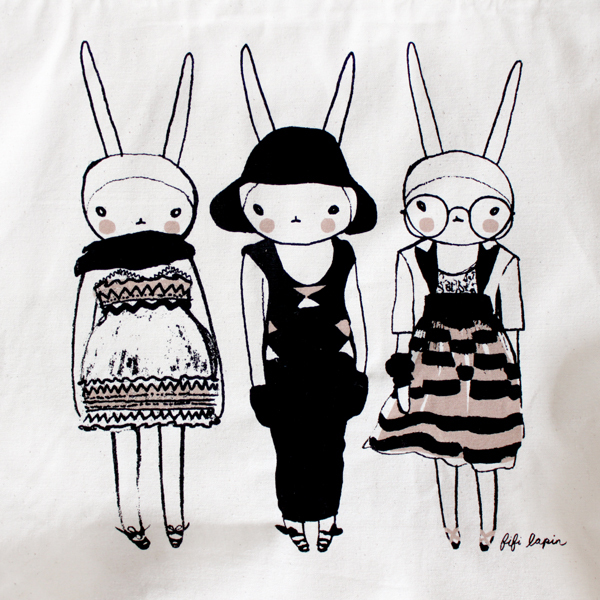 Postage is included in the price and we ship from the UK to all countries internationally. 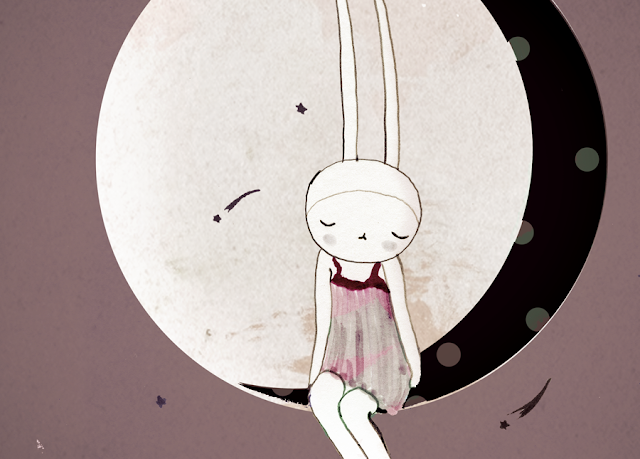 Please be patient if you are in a far away land! 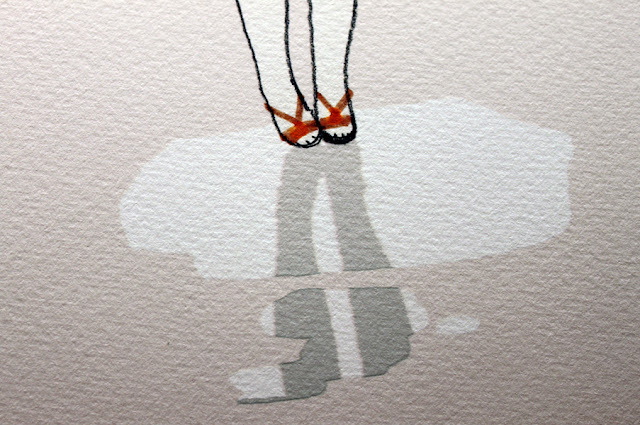 Introducing 'The Summer Rain' I only have 4 in stock so snap it up quick if you've fallen hard. 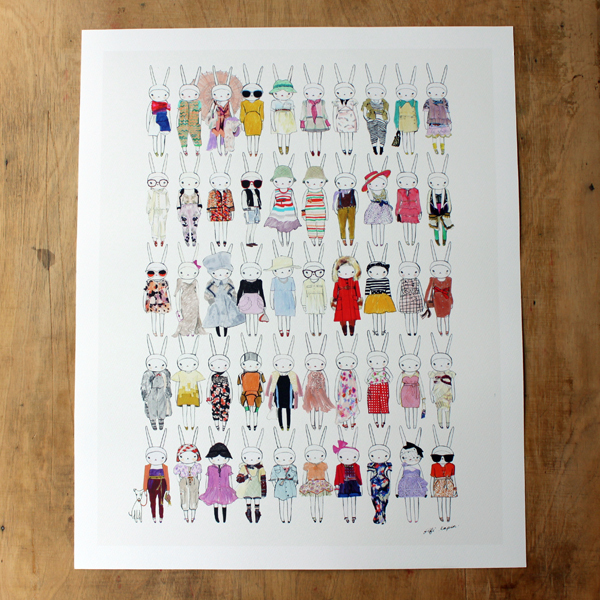 *UPDATE* sorry this print is now sold out! 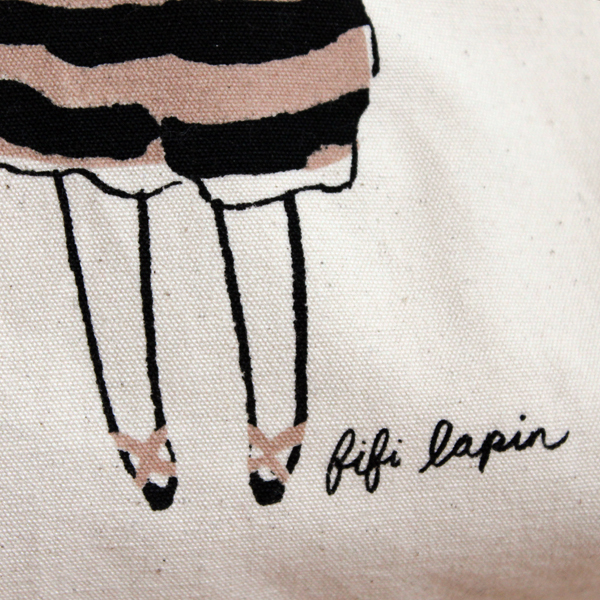 All Fifi Lapin purchases come with a Fifi collectors card. Another little blog sale. Yay! The brooch measures approx. 4cm tall and has a lovely lustrous quality and silky smooth finish. 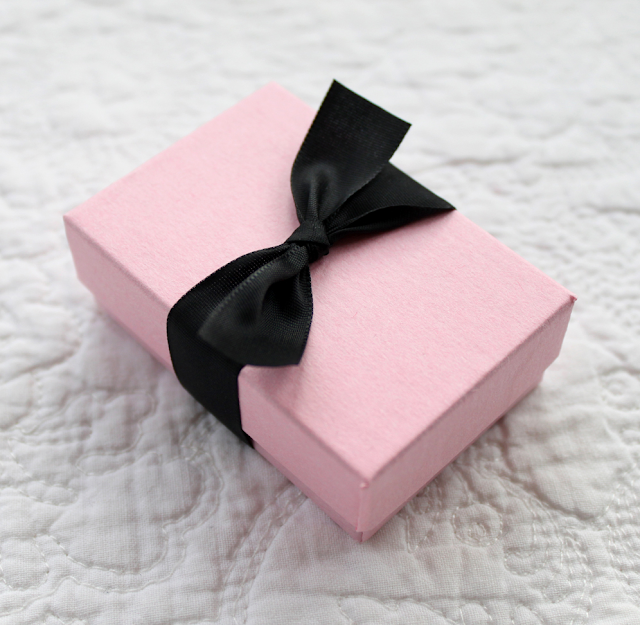 The pin come's in it's own little pink box with a pretty black ribbon. Our gift boxes are made from 100% recycled boxboard, with a partly recycled paper covering, the remaining paper from sustainable forests. Made ethically within the western world. $40 per pin. 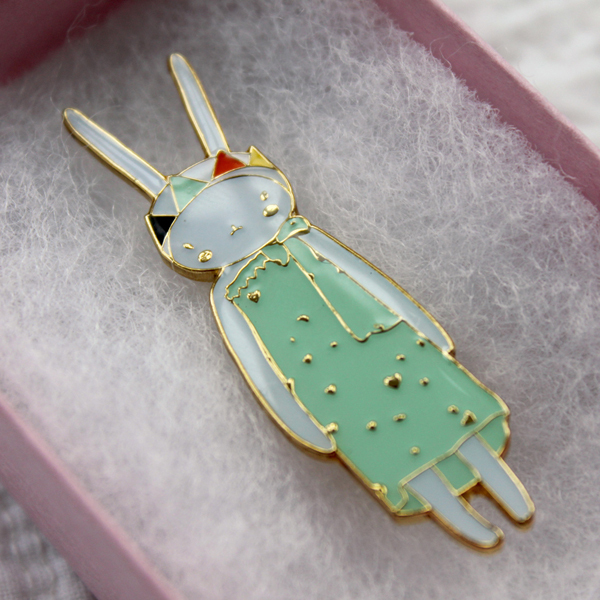 Postage is included in the price and we ship from the UK to all countries internationally. 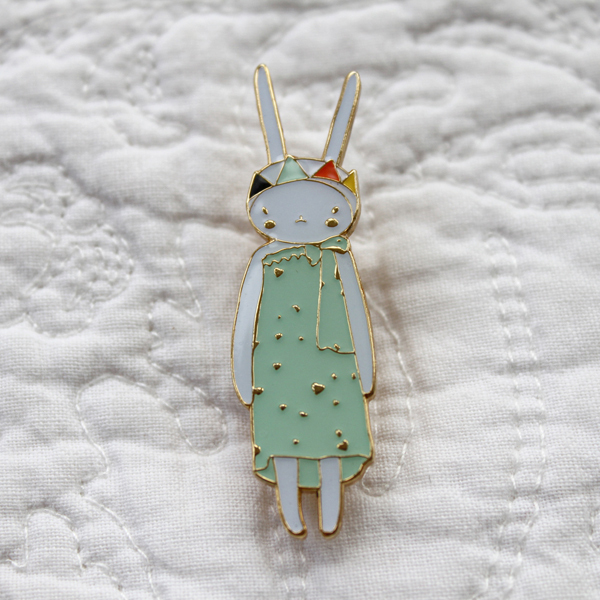 I will start posting the brooches this coming Monday and the Wednesday after that. Please be patient if you are in a far away land!